We’d all love to have a wardrobe full of makeup products that would make any Hollywood star jealous. Unfortunately, there’s a little thing called money - or lack thereof - that prevents us from getting every single makeup item that we want. 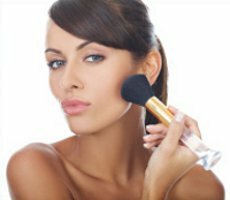 Fortunately, you can get double or even triple usage out of some makeup products, which will save both time and money when you’re getting ready in the morning. With that in mind, let’s take a look at multiple uses for different products. Any 13-year-old make up beginner can tell you that blush is used to enhance the cheeks. But did you know that blush can also be used to enhance other areas of the face too? Blush is an excellent substitute for eye shadow if you’re going for a friendly, casual look; just apply the blush to your eyelid creases, and it works like magic! Another area of the face where you can use blush is the forehead since this gives your face more overall color (colour). If you don’t mind getting a little more risqué with your blush, you can apply some of it to the cleavage area to enhance your breasts. While blush works well as eye shadow, the same can be said for substituting eye shadow as blush. When you’re short on blush, grab a neutral color (colour) to ensure that the eye shadow actually looks like blush. A good rule of thumb is to use eye shadow that is close to the color (colour) of the inside of your lips. Once you’ve got the perfect eye shadow picked out, you can use a small brush so the bristles don’t pick up any other eye shadow color (colour) from the tray. Besides using eye shadow as blush, you can also use it to highlight your facial features by applying blush under your eyebrows and even on your nose. Bronzer is sort of a wonder product when it comes to different uses. First off, you can use bronzer to create the illusion of thin legs; all you have to do is apply a little bronzer on your calves and thighs, and you’ve got skinnier-looking legs. Brunettes can really appreciate bronzer as a hair product because dusting a little over the head creates a beautiful shiny effect. One more thing you can do with bronzer is mix it with matte nail polish to create sparkling finger nails. Just don’t go overboard when mixing in the bronzer! 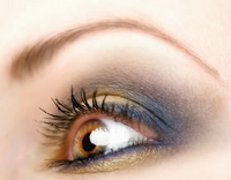 Much like bronzer, mascara can be used as a hair product, among other things. If you don’t feel like spending money on hair dye every time you want a different look, grab your blue, red, or black mascara and create a few streaks. Once you’re done, allow the mascara to dry and you’ll have instant streaks! Perhaps your hair is fine, and you’d like a beauty mark instead; take the tip of your mascara wand and put a little above the lips to become your own little version of Marilyn Monroe. Yet another use of mascara is hiding those ugly nicks and scuffs on your favorite (favourite) shoes. Just put some mascara on a paper towel, and apply it to the shoe areas that need touched-up. Lip gloss is one of the lesser-known double duty makeup products, which is sad because you can do a lot with this product. One of the extra things you can do with lip gloss is apply it to your cheeks to create a fresh glow. You can also duplicate this glowing effect on your eyelids by putting lip gloss there too and if you’re fresh out of lip gloss, yet want to make your lips shine, grab some petroleum jelly and put it on your lips. If the thought of using petroleum jelly as lip gloss sounds a little ridiculous, eye liner is another option. Just be sure to use a lighter color (colour) when applying the liner to your lips. Aside from a lip gloss substitute, you can also use eye liner to fill in your eyebrows if they’re looking overly-thin. The key thing to remember with eye liner or any other makeup product in your cabinet is that most products have double uses. So there’s no need to sacrifice rent money to put on a pretty face because you can just get creative with your makeup instead. More articles and advice on aromatherapy, hair care, and skin care.